There really needs to be an effort to stop this, either by bringing far more light to it and/or giving money to opponents. He’s buying very critical DAs all across the country to change the nature of the justice system. 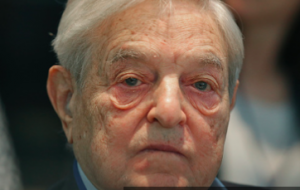 Liberal billionaire George Soros has pushed $1.5 million into San Diego’s district attorney race to support a far-left candidate who spoke on a panel hosted by the liberal billionaire last year at the left’s biggest dark money donor conference.